Today you will learn 6 Super Helpful Tips For The Prevention & Treatment of Sports Injuries. If you are an avid athlete, you will hate the idea of staying away from your sports because of an injury. Whether you are a professional athlete or a weekend enthusiast, who plays for boosting their fitness, it crucial to avoid injuries. Although, it’s true that you can’t prevent every possible sports injury, however, experts believe that you can certainly reduce your injury rate by 25% if you take necessary precautions. Before discussing the appropriate preventative actions, let’s talk about common sports injuries. Tennis elbow is a condition that’s linked to the game of tennis. Technically known as lateral epicondylitis, it is a kind of injury that affects your arm. If you take rest, you can treat the pain that stems from Tennis elbow easily. When you use your arm repeatedly, you end up damaging your tendons that connect your muscles with your bones in the elbow. Tendons, which connect the extensor carpi radialis brevis (ECRB) muscle to the bones in your elbow, get damaged while playing tennis or while performing any other task that demand the repeated movements of your arm. Once you injure your tendons, it put enormous stress on your arm, which makes it uncomfortable for you to lift an item or to hold anything tightly with your hand. An ankle sprain is one of the most common sports injuries that affect runners, football players, volleyball enthusiasts, and basketball players. So, if you are someone, who loves jumping and running, you have to be careful about protecting your ankle from getting injured. It’s a type of injury wherein you end up tearing the ligaments in your ankle, which cause a lot of pain and discomfort. In other words, when the ligaments in you stretch your ankle beyond its capacity, you end up suffering from an ankle sprain. Some of the most common symptoms of ankle sprain include swelling, bruising, itching, and stiffness in your ankle. Shin splints, which can result from uncomfortable shoes or flat feet, is one of the most common sports injuries. It also occurs due to weak ankle and hip. If you are an athlete, you remain vulnerable to Shin splints. Also known as medial tibial stress syndrome, it’s a condition that leads to pain in the inner edge of the shinbone. It’s an inflammation of muscles and bones around shinbone. Knee injuries are also common among athletes, which affect their lower body function like anything. 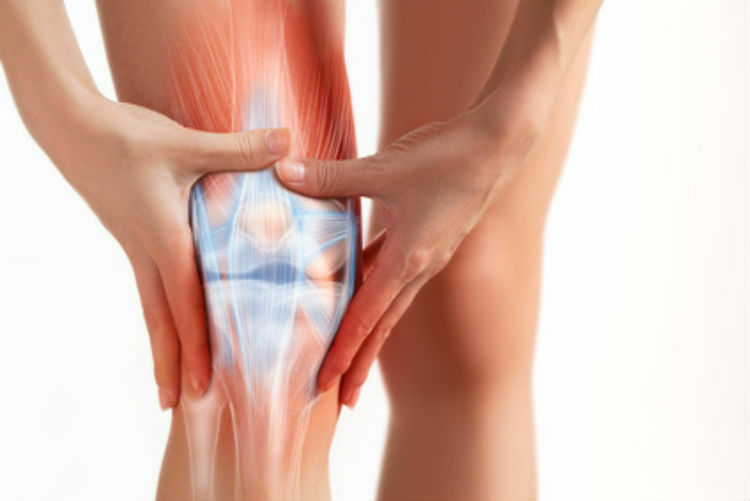 People with weak knee joints and muscles are vulnerable to injuries. When compared to people with healthy muscles, tendons, and ligaments those with a low fitness level face more injuries. Ligament injuries in the knee can limit your performance like anything; therefore, it’s crucial to take appropriate actions to stay away from them. Below are common knee injuries. Apart from them, the other common sports injuries that affect the performance of the athletes are a concussion, groin Strain, shoulder injury, and lower back pain. Physical therapy is helpful for recovering from the pain that stems from sports injuries. If you get an injury on your lower back, knee, shoulder, or foot and ankle, a physical therapist can offer you the right solution. Based on the severity of your injury they will pick an ideal physical therapy technique to heal your condition. A physical therapist use techniques like dry needling, trigger point therapy, and joint and soft tissue mobilization, etc., to subside pain and heal injuries. For example, if you are suffering from a knee injury, your therapist may use dry needling to mitigate your pain. It’s crucial for both professional athletes and weekend enthusiasts to warm up their bodies before they start playing their sports. In addition to that, it’s also vital to devote sufficient time to warm-ups every time you start your workout sessions. And make sure, when you finish your workout sessions, you do that with cooldowns. Cools downs are equally crucial because they help in stabilizing your body. Both warm-ups and cooldowns are essential for avoiding injuries. People who ignore the significance of warm-ups and cools downs are vulnerable to injuries. If you are not feeling well, then it’s better to take rest. It helps in avoiding injuries to a great extent. In addition to that, if you are someone who performs intense physical activities, then you should avoid high-intensity exercises during your workout program. Similarly, people with both major and minor injuries should also take rest to avoid further problems. Proper training is not only vital for enhancing your performance; it is equally crucial for avoiding injuries. So, if you are preparing for a competition, take the help of your coach to figure out how to prevent potential injuries. Your coach will provide necessary advice on how to improve your performance while staying away from injuries. Each game has its own rules and regulations, and it’s essential for athletes to follow them. Rules of the game are designed to keep the athletes safe and productive. Following rules is crucial for those who play contact sports because they help in preventing injuries. Every spots person should wear protective gear while taking part in a competition or rehearsing for it. Shoulder pads, mouthguard, gloves, hip and knee pads, and rib protectors, are some of the vital protective equipment used while playing sports, so you should also wear the ones that are relevant to your game. So, if you want to enjoy a healthy life, take appropriate actions to avoid injuries and illnesses.